Textbook authors have more to review on the standard textbook publishing contract and more leverage to negotiate than they might think, says Stephen Gillen, a Partner at Wood Herron & Evans, and author of a book published by the Textbook & Academic Authors Association, Guide to Textbook Publishing Contracts (ISBN 9780997500400; $24.95 eBook, $29.95 print). 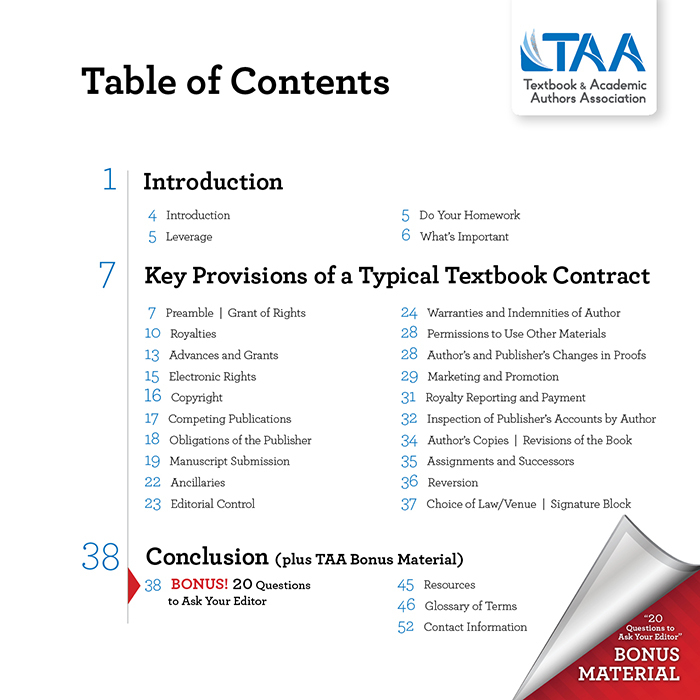 In this step-by-step guide, Gillen illustrates the key provisions of a typical textbook contract and how textbook authors can determine what's important to them so that they can enter into the contract negotiation process better informed. He shares the "typical", "better" and "better still" options authors can consider when making decisions about what to negotiate. Kevin Patton, award-winning author of Anatomy & Physiology, 9e, said: "I’ve never recommended a law book to my friends (or anyone, for that matter). 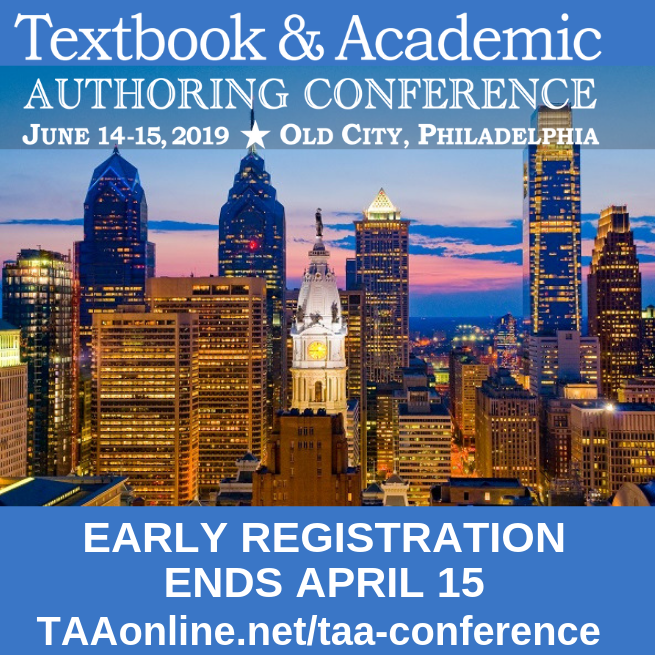 However, I strongly advise anyone interested in textbook authorship, whether looking forward to a first contract or having recently signed your umpteenth contract, to read Guide to Textbook Publishing Contracts. Then remember where you put it when you are finished because you’ll want to go back and use it each time you are offered a new contract or amendment." Michael Sullivan, award-winning author with 14 mathematics textbooks currently in print, said: "Steve Gillen’s Guide to Textbook Publishing Contracts is not just reading material, it is an indispensable reference, whether you are a first-time or experienced author." Stephen E. Gillen is the author of Guide to Textbook Publishing Contracts. He teaches Electronic Media Law at the University of Cincinnati College Conservatory of Music. He worked for nearly 20 years in publishing prior to entering private practice in the middle 1990’s. He is presently a partner at Wood Herron & Evans (a 145-year-old Cincinnati law firm focused on intellectual property) where he concentrates his practice on publishing, media, and copyright matters. He is a long-time member of the Textbook & Academic Authors Association (TAA) Council and a regular speaker at TAA conferences. 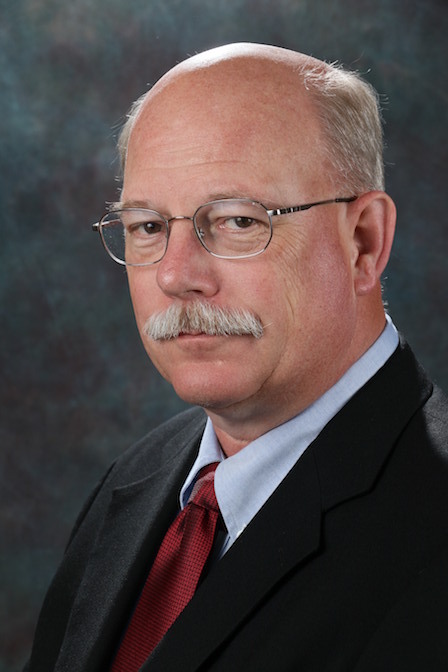 Stephen E. Gillen is the author of Guide to Textbook Publishing Contracts. He teaches Electronic Media Law at the University of Cincinnati College Conservatory of Music and is a partner at Wood Herron & Evans where he concentrates his practice on publishing, media, and copyright matters. "Steve Gillen’s Guide to Textbook Publishing Contracts is not just reading material, it is an indispensable reference, whether you are a first-time or experienced author." "I’ve never recommended a law book to my friends (or anyone, for that matter). However, I strongly advise anyone interested in textbook authorship, whether looking forward to a first contract or having recently signed your umpteenth contract, to read the Guide to Textbook Publishing Contracts. Then remember where you put it when you are finished because you’ll want to go back and use it each time you are offered a new contract or amendment. " 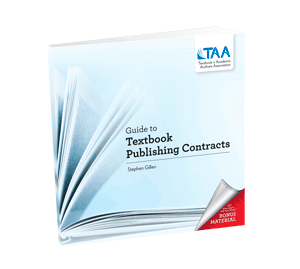 Read Kevin's review of Guide to Textbook Publishing Contracts on his blog, The Textbook Author. 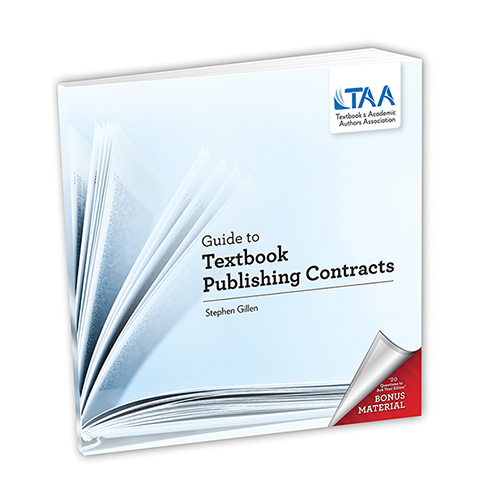 “In Guide to Textbook Publishing Contracts, Stephen Gillen provides a complete and comprehensive course of instruction that is as 'user friendly' as it is do-it-yourself practical." Why is it important for authors to negotiate a standard publishing contract? Should authors try to negotiate all clauses? If not, how can they determine which clauses to negotiate? Which clauses in a standard publishing contract, if not negotiated, tend to cause problems for authors later? What is the difference between an advance and a grant? 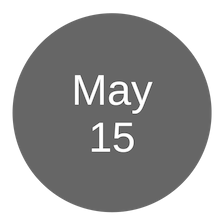 If an author negotiates an advance, what elements should they be sure this clause includes? If an author negotiates a grant, what elements should they be sure this clause includes? What is the norm for royalty rates for eBooks and how important is it to cover eBook royalties in today's textbook publishing contracts? Who would benefit from this book? You have more leverage than you think.